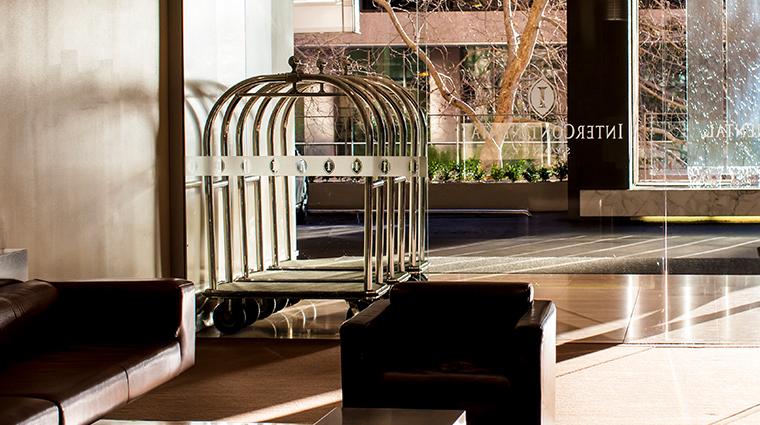 Location is key and history is rich at the iconic InterContinental Sydney. A five-minute walk from Circular Quay’s transport hub, a treasure trove of Sydney stories, culture and views awaits. 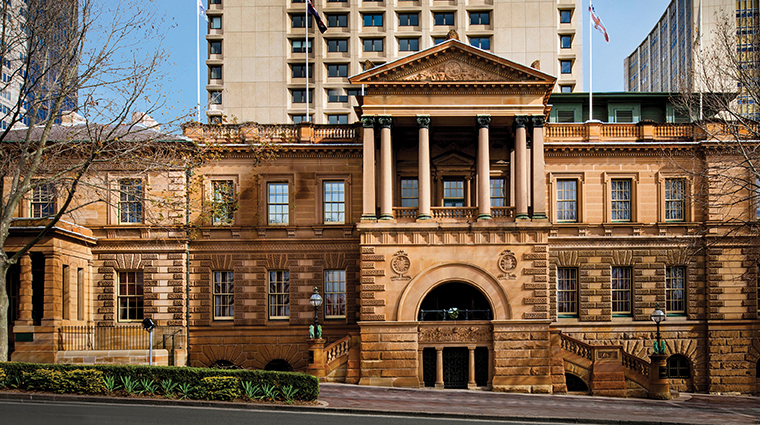 Set in the city’s original treasury building established in 1851, the InterContinental is steeped in history — it was once the site of Sydney’s first vineyard, after all. From high tea at The Cortile surrounded by historic sandstone arcades, to evening drinks with a spectacular vantage point over Sydney at Club InterContinental, your stay at InterContinental Sydney will leave you with unique memories and plenty of stories to bring home. Sitting 31 stories above Sydney, Club InterContinental shows off exclusive sights from one of the city’s top hotel rooftop terraces. Take a dip at the heated indoor pool and enjoy a lookout over the Opera House, Harbour Bridge and Circular Quay. Stay fit at the Odyssey Health Club & Spa with a free weights mezzanine and variety of cardio machines, then relax with a massage in-center or in the comfort of your room. When it’s time to eat, you’re spoiled for choice with four hotel restaurants, plus the renowned Meat & Wine Co. residing on the ground floor. InterContinental Sydney is ideally located, just a stone’s throw from many sights and museums including the Royal Botanic Garden, Museum of Sydney, Museum of Contemporary Art and Art Gallery of NSW. That vintage elevator you see in The Cortile is, in fact, the oldest-working elevator in the Southern Hemisphere, dating back to the late 1800s. No other harbor-side hotel has perspectives like the InterContinental with sweeping vistas from Darling Harbour all the way out to sea, plus unparalleled aerial views over the Royal Botanic Garden. Throughout the year, the Sydney hotel partners with local events and businesses to create unique experiences like special packages with Sydney Symphony Orchestra and exclusive tickets to the St. George OpenAir Cinema. The hotel has 509 guest rooms, including 24 suites, plus four deluxe suites: two State suites, the Governor and the Australia suites. 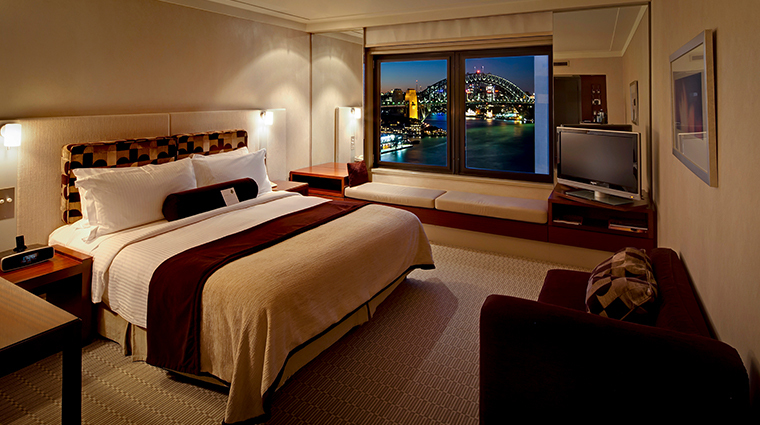 Every room features luxury window seats overlooking the Sydney skyline, Harbour Bridge, Opera House or Royal Botanic Gardens. 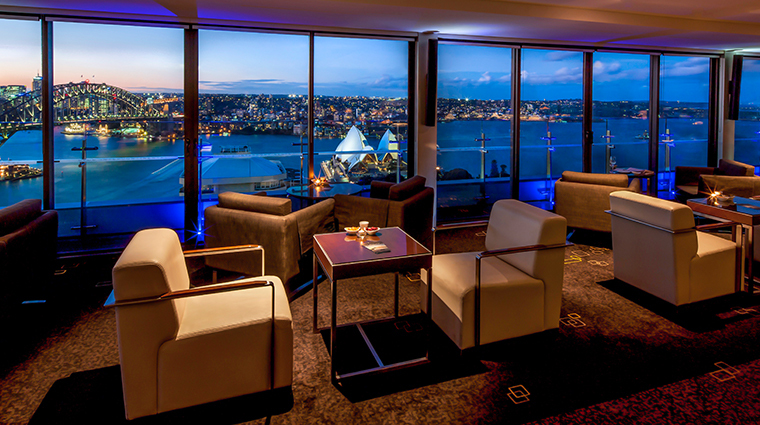 Upgrade to Club InterContinental for an additional fee, and gain access to member benefits, including a buffet breakfast, evening cocktails and iconic Sydney scenery on level 31. Heralded 117 Dining incorporates the progressive dining trend into its celebrated degustations, where the final course leads you to drinks with a 270-degree view at Club InterContinental. Supper Club opens up Club InterContinental to all from 8 p.m. Thursday through Saturday so everyone can enjoy the panoramas and 27 different champagnes on offer. Cafe Opera serves breakfast, lunch and dinner, plus boasts a generous buffet of fresh seafood sourced daily from the famed Sydney Fish Market. 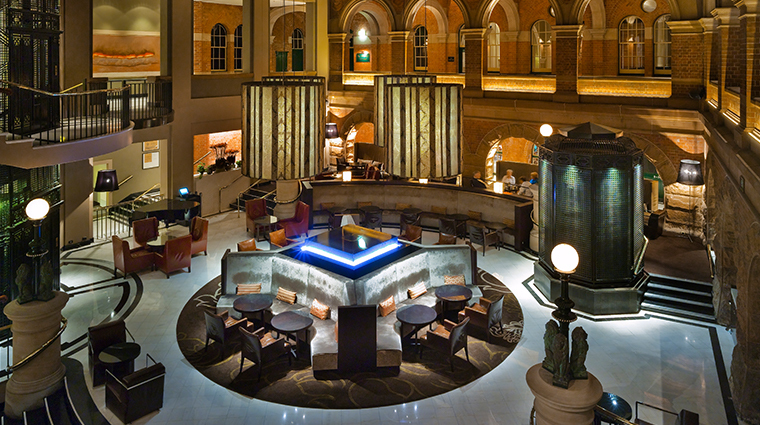 Under the soaring treasury atrium, The Cortile is an idyllic spot for high tea, high coffee and pre-dinner drinks. One of Sydney’s favorite steakhouses, The Meat & Wine Co serves the best in premium meats and produce right in the hotel’s lobby.